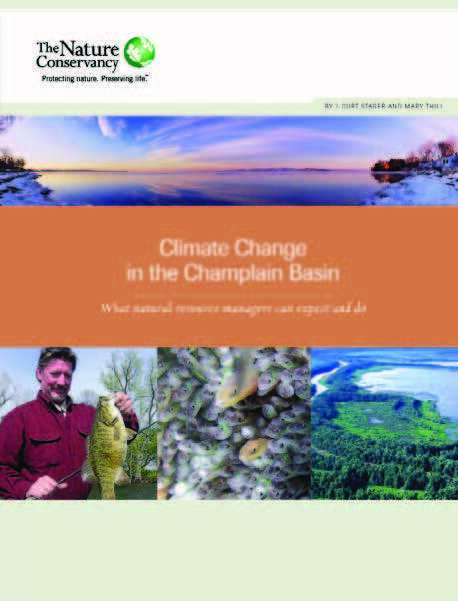 The Nature Conservancy recently published Climate Change in the Champlain Basin,which reviews weather records and other data and looks ahead to what’s in store for this century. 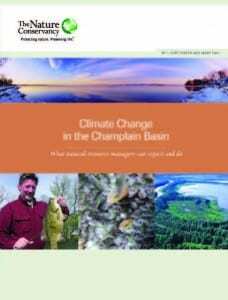 Written by scientist Curt Stager and journalist Mary Thill, the study says the basin in recent years has seen higher temperatures, more rainfall, and later and less-frequent freeze-ups of Lake Champlain. It predicts that the annual mean temperature could rise anywhere from one to eleven degrees by the end of this century. You can download the study by going to the Nature Conservancy website (www.nature.org) and navigating to the Vermont or Adirondacks page.